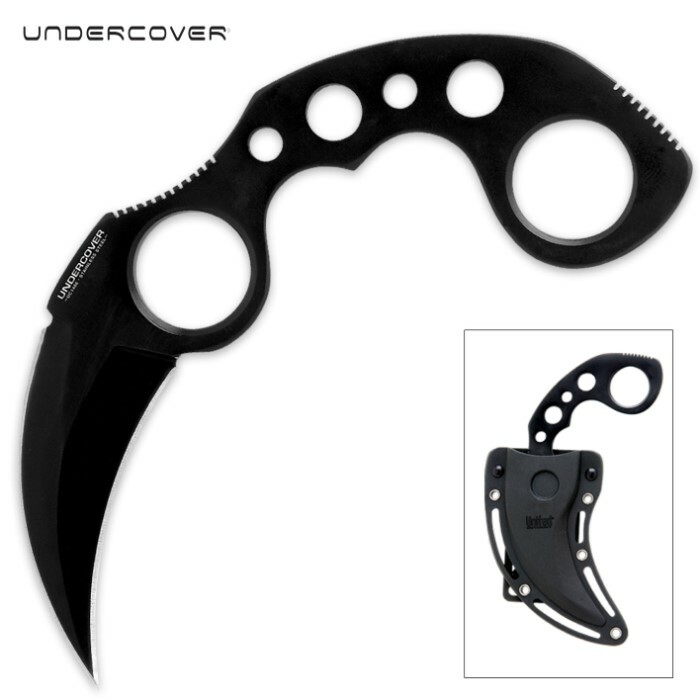 The Karambit is constructed from one solid piece of 420 stainless steel and offers generous size finger holes for an excellent grip whether the blade is held down from the fist or extending from the top of the hand. 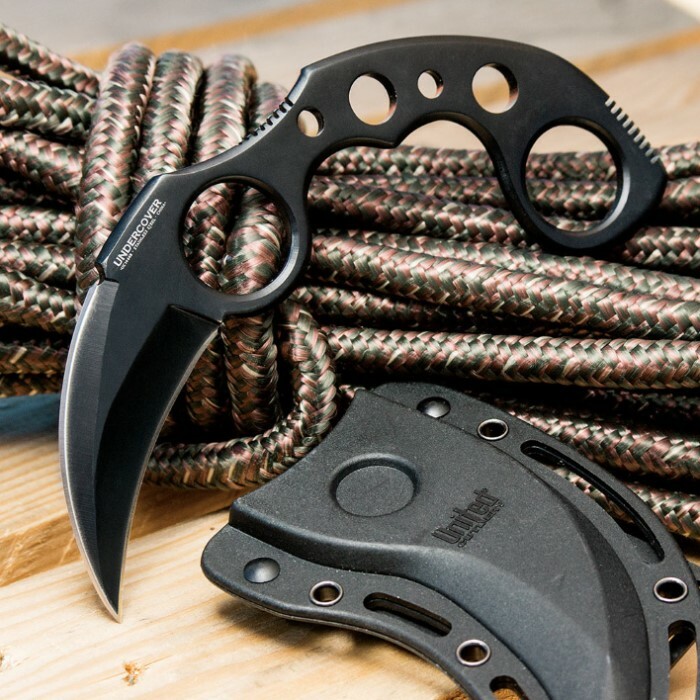 The 3 5/16" blade is doubled edged and razor sharp. 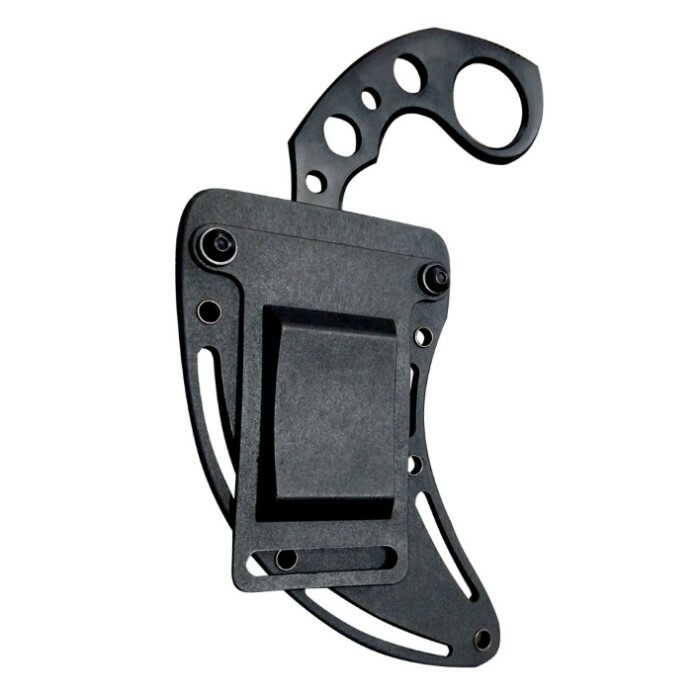 Includes ABS hard plastic impact resistant sheath. 6 1/2" overall.